A. Manlius Q.f. 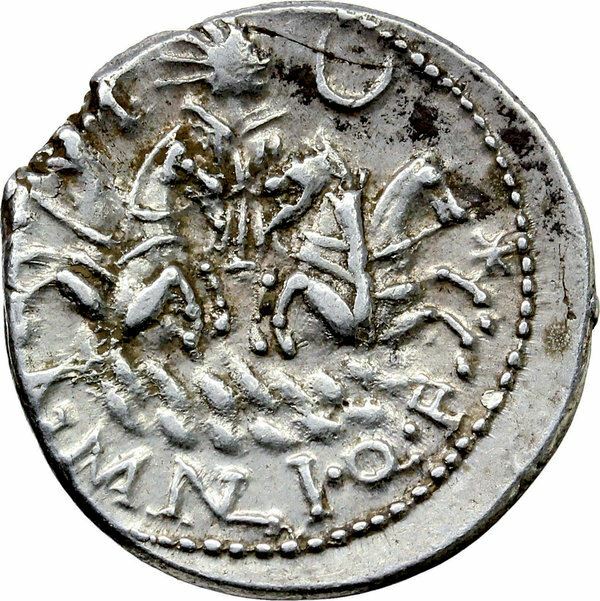 was a moneyer who struck coins between 118 BC and 107 BC. He later served as Legatus in 107-105 BC. Crawford speculates that both A. Manlius Q.f. and his coleeague C. Cornelius L.f. Sisenna struck coins in Narbo - but this has not been conclusively proven.